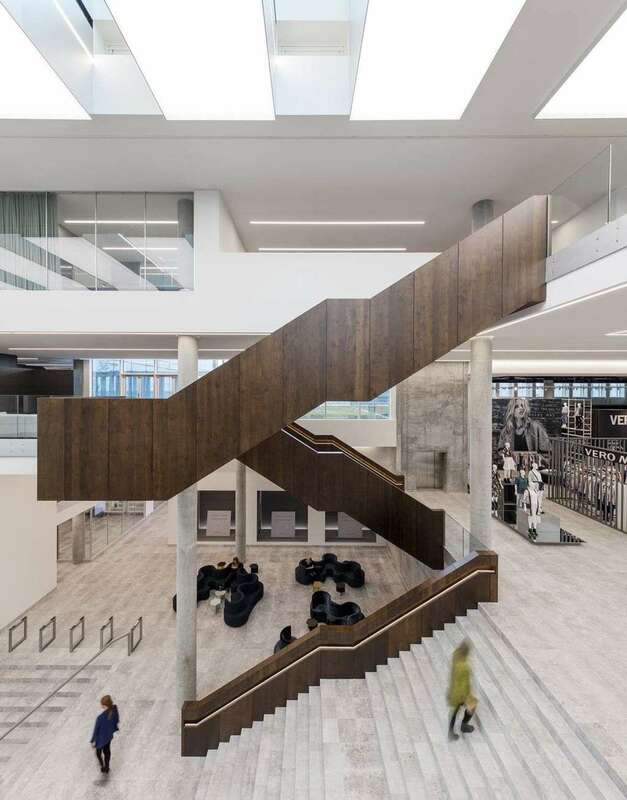 The accuracy of the compositional language of CF Moller translates into a new office complex for the fashion brand Bestseller in Aarhus (Denmark). 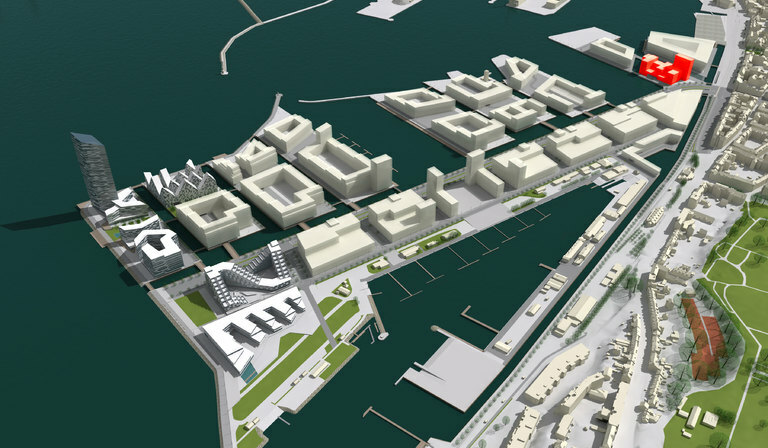 The Bestseller offices on Aarhus Harbour are a multi-block complex, a small city within a city offering a balanced mixture of buildings and outdoor spaces. The project for the new Bestseller offices at the port of Aarhus in Denmark was designed by CF Møller as a composition of separate blocks of different heights but all sharing the same feel of the façade. In the Bestseller office project there is a reciprocity in the harmony between the spaces and the complex itself, all brought together by a common theme. 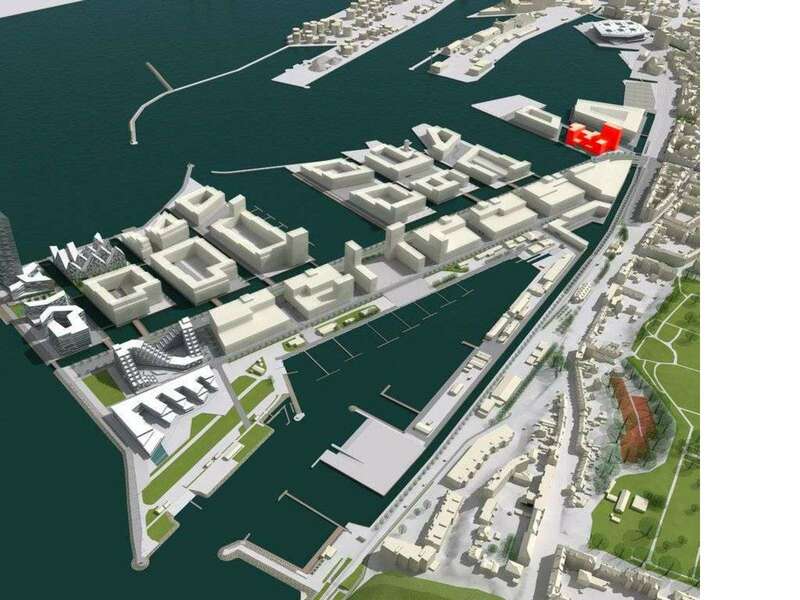 The designers of the Danish firm CF Moller claim to have imagined a symbolic flotilla of buildings in the port of Aarhus, probably wanting to convey to the architecture the task of symbolising the design driven force of the Bestseller, a fashion brand that operates in more than 70 countries worldwide. Indeed the image of grandeur perceived from the Aarhus waterfront, provided by the apparent impenetrability of the modular stone and glass façade, is tempered by a dissonant succession of heights, ranging from one to twelve levels. The bird’s eye view highlights the physical elements: different levels connected by a series of outdoor spaces, e.g. 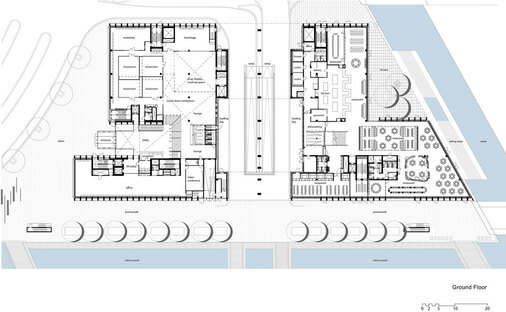 courtyards, terraces and roof gardens providing fluidity to the overall composition. Even at street level , one gets the impression that there is a small city within a city, an ideal social core surrounded by canals and where the constructions are well alternated with the green spaces. Within the program, in addition to the 800 workplaces, there are showrooms, facilities for fashion shows, photography and film studios, the auditorium and the company restaurant. There is also a parking lot as well as bicycle racks, on three levels. 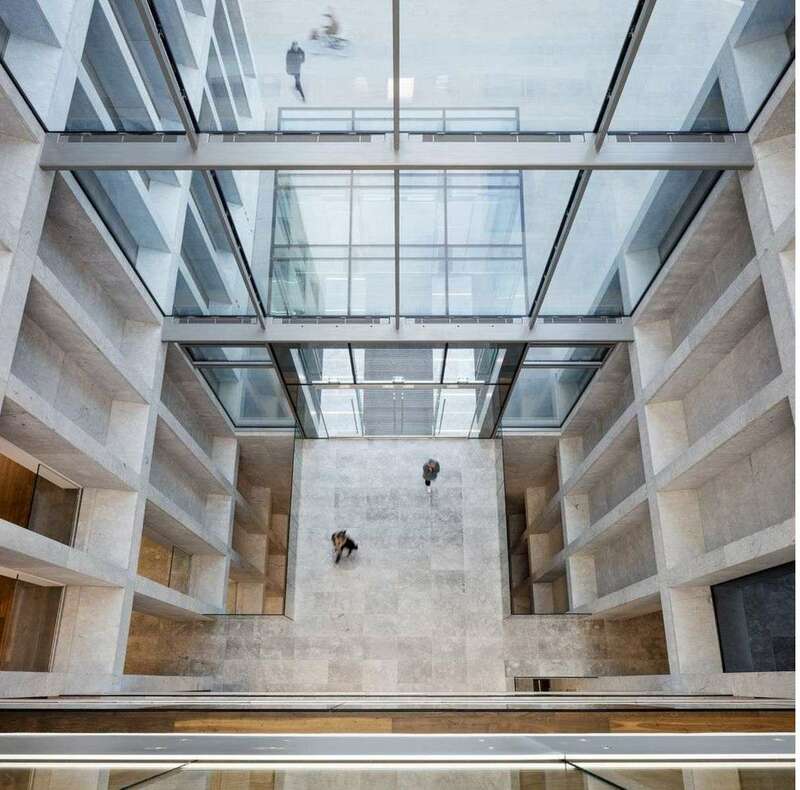 The accuracy that distinguishes CF Møller projects comes back in the concrete structure, in-filled by a cloak of monochrome stone that enhances the façade of all spaces. Each high, narrow modular stone frame is interrupted by variations on a theme represented by larger modules that reflects the customised nature of the project. Finally all the top levels of the buildings have higher modules, suggesting an inclination to reach for the sky and a desire for lightness. 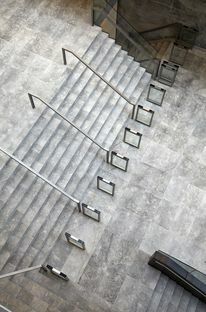 If the impact of the outside stone melts into the colours of the port reflected by the windows, in the interior the stone material is paired with the wood used for the furniture and specifically for the floors and the covering of the stairs that connect multiple blocks. From the point of view of energy choices, the Bestseller office complex uses solar panels and recycles sea water for its cooling system. Therefore it is expected that energy consumption will be 50% less than the minimum requirements stated by the building regulations.